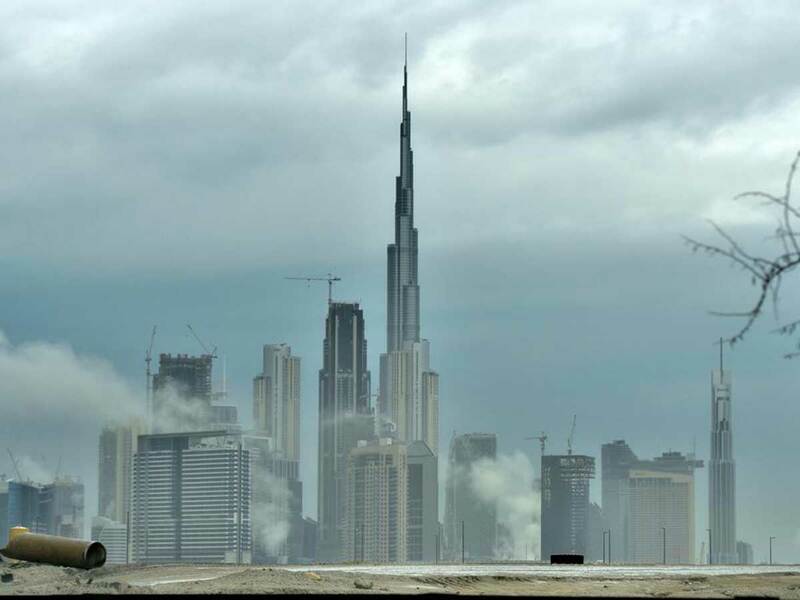 Dubai: Motorists were urged to take extra caution on Monday as forecasters predict the rainy weather to continue throughout the day. Weathermen also called upon residents, especially in the country's northern and eastern regions, to avoid wadis due to the possibity of flash floods. A number of schools in Dubai and the northern emirates decided to send pupils back home following the heavy rains that poured over the country in the early hours of the morning. Parents received messages on their phones from school administrators, informing them that school buses were returning the pupils home due to bad weather conditions that flooded the roads between Sharjah and Dubai. The UAE witnessed heavy rainfall on early Monday morning, and according to the National Centre of Meteorology (NCM), different intensities of rain will continue during the day. Throughout Sunday night and into the following morning, heavy rain lashed out across the emirates of Abu Dhabi, Dubai, Sharjah and the northern emirates, as the entire country plunged into a strong thunderstorm. In its daily weather forecast, the NCM said that it will be a cloudy day, “with rain over scattered areas accompanied with thunder and lightning, especially in the northern and coastal areas”. Residents can look forward to a “significant drop” in temperatures, with strong northwesterly winds between 25 and 40 km/h, reaching 60 km/h over the sea. Minimum temperatures will drop down in the early morning and at night to 16-21 °C in the coastal areas and islands, 15-21 °C in internal areas and 11-16 °C in the mountain area. However, the cloudy weather will gradually decline in the evening and at night, bringing with it a slighter chance of rainfall by Tuesday morning. Temperatures will also fall by one or two degrees Celsius until Wednesday, before fog and mist formation will blanket the roads in the morning. The level of humidity will rise on Wednesday night and Thursday early morning, reaching over 85 per cent during peak times.